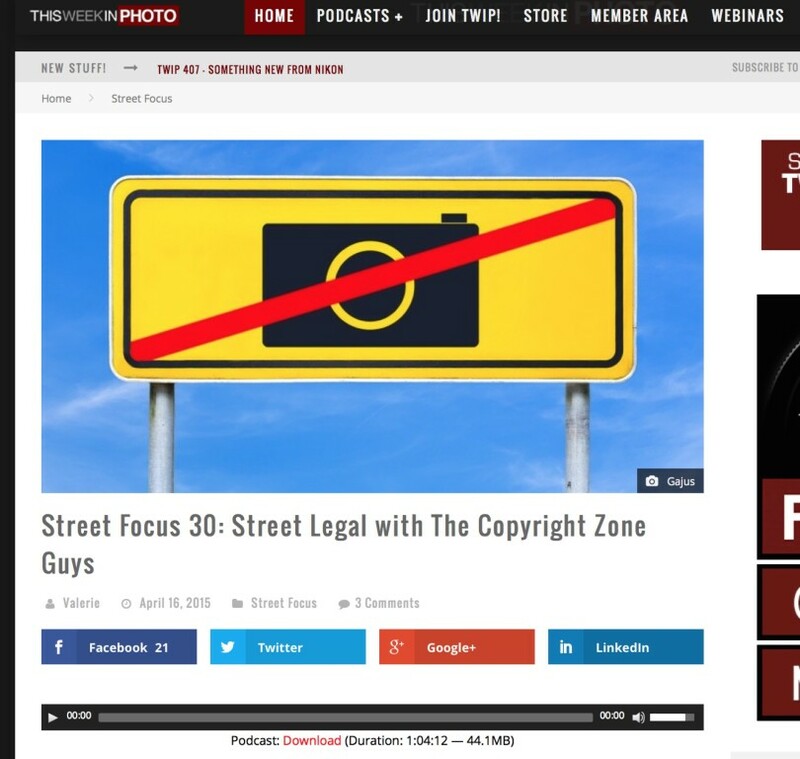 If you have the time and inclination, the upload of our webinar on TWiP’s Street Focus. Get it? Street photography, street focus. We like it. Anyway, here is the link. Check it out and let us know what ya’all think. This entry was posted on April 17, 2015, 7:15 pm and is filed under Be Aware, Copyright, In The News. You can follow any responses to this entry through RSS 2.0. You can leave a response, or trackback from your own site.